Tired of the regular fishing rods already? Are you falling behind your friends and losing fish when competing against your friends? 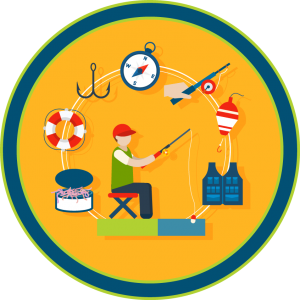 Who doesn’t want a fishing rod that will last as well as give you the ultimate fishing experience? With Okuma Helios TCS aluminum Baitcaster, you don’t have to worry one bit as this line of fishing gear produces only the best. Experience the best as Helios is one of their high-end flagship baitcaster in the entire line. A combination of excellent build, with premium quality materials, will only give you the performance that will impress and keep their promise. You will only be thanking yourself for choosing this baitcaster and making it worth your money! So what are you waiting for? Wow, your friends with the Okuma Helios TCS rod series designed by Scott Martin, and discover all the unique features and techniques that this Baitcaster has to offer today! The reel is very light, durable and corrosion-free. Unlike many other fishing reels, the Okuma Helios TCS reel is extremely light at a maximum weight of 6.3 ounces. This is mainly due to the use of Aluminium in most of its components. It comes with a rigid aluminum frame and side-plates. The carbon material is also present in this reel, which is usually used on ultralight reels. Other than that, the spool is made from anodized aluminum, and the gears are made from heavy-duty aluminum as well. Typically, the gears in most reels are made from brass which usually adds to the weight of the entire reel. However, to keep the weight down and make the reel stronger, heavy-duty aluminum has been used. The same material is also used in making the drive shaft of this reel. Finally, high-quality pain has been used in this reel to prevent corrosion. Multi-disc Carbonite drag system has been implemented on this reel. This reel has a pretty good drag compared to other reels in the market. You can crank the drag of this reel down all the way to 14, which is acceptable because most of the popular reels have a drag around 8 to 10. This elevates the performance of the baitcaster making it more reliable. The ball bearings used in this device work excellently. 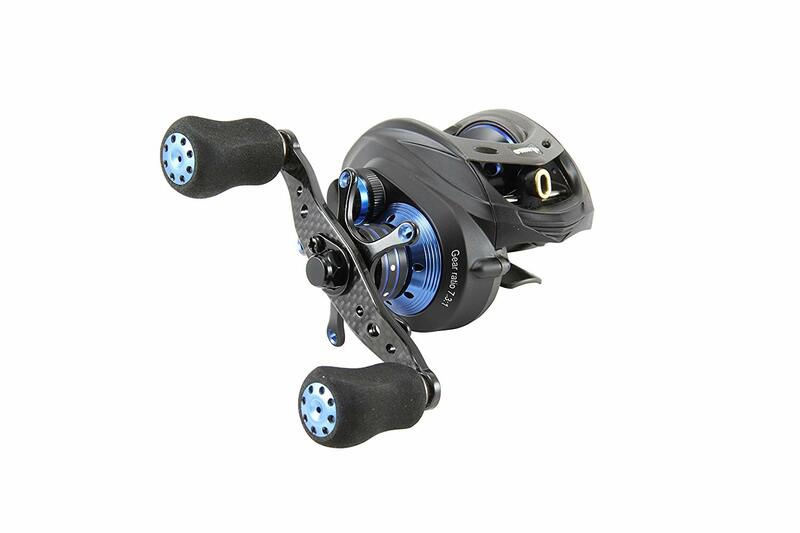 The Okuma Helios TCS reel has been constructed with 8 ball-bearings and 1 anti-reverse bearing in the handle. The function of the anti-reverse bearing is to stop you immediately from attempting to reel backward. All of the ball bearings are made from stainless steel, making them very durable. There is a common misconception that existence of more ball bearings in a reel leads to greater smoothness. Although that is true in some instances, the placement of the bearings can play a role in terms of smoothness as well. The ball bearings in this particular reel have been placed perfectly, giving you extra smoothness when using the reel. There’s one on each side of the worm gears which smoothens it up while turning. There’s one at the base of the drive shaft, and two in the handles. Retrieving fishes is a whole lot smoother because of this placement. Finally, you have 3 ball bearings along the length of the spool which makes your cast smooth and long. The Line Guide of the reel works spectacularly. Most of the reels in the market come with a round line guide, but the one on the Okuma Helios TCS reel is oval-shaped. This helps the line come off a bit more smoothly. You also get an add 2-3 feet of line to your cast due to this design feature. The reel has a good Braking System. This reel has quite a simple and easy breaking system. The brake pads don’t pop out like many other reels. It has a little dial system which can be used for adjusting the brake pads on the reel. When adjusting the dial, you will not have to worry about the braking pads popping out and falling off. The reel makes use of a star drag which works perfectly. The star drag used for adjustment in this reel is very good. The handle itself is made from carbon fiber which aids in keeping the reel light. It also has a nice and easy to use cast-control knob. The reel itself is very versatile and there are many options to choose from. The Okuma Helios TCS comes in many different gear ratio options such as 6:6:1, 7:3:1, and 8:1:1. This adds to the versatility of the reel, as it will suit different types of users. The reel is very light. Heavy duty aluminum has been used in the gears and shafts, making it very durable. The drag system on the reel works amazingly. The reel is very comfortable to use. It has a top-notch braking system. In order to access cast controls, the side-plates need to be removed. It is not suitable for left-handed users. Can be a little too noisy because of the ultra-light materials used. Q: What should I do if the gears feel rough under pressure? This could be due to different reasons. Firstly, there is a chance your gear is damaged or lacking lubrication. Secondly, your bearings could be unlubricated or damaged. The obvious solution to this problem would be to apply lubricants such as grease to those specific components. If this does not solve the issue, then you may have to replace those parts as they are damaged. Q: What to do if the line does not stack on correctly? In order to resolve this issue, you need to make use of the provided click gear washers in order to adjust the spool height on the reel. Add a click gear washer is the line is too high on the spool. Conversely, remove a click gear washer if the line is too low on the spool. The Okuma Helios TCS reel is an outstanding reel because of its light-weight, durability, smoothness, and performance. It comes in different gear ratio options based on your preference, which makes it very hard to not recommend. The drag system works efficiently, which is why casting and retrieving with this instrument is super smooth. If you are in the market for a reliable baitcasting reel that has a lot of value packed into it, look no further! The Okuma Helios TCS reel is perfect for you.